Susanna Beaumont, a leading agent for Scottish contemporary artists, commissioned this conversion of a former car tyre garage into an art gallery and office in the New Town of Edinburgh. Working with a modest budget, three free-standing walls have been carefully aligned to screen secondary activities such as the office, toilets and the kitchen. 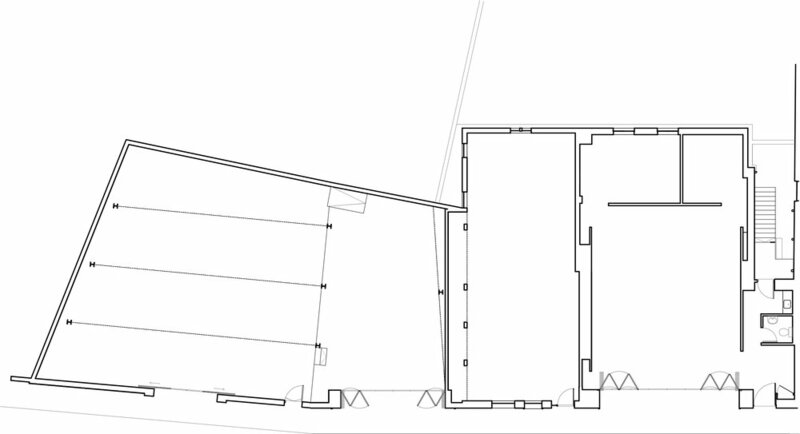 The resultant gallery space has a very ordered arrangement in plan. It is also ‘clutter-free’ which avoids visual conflict between the art on display and the architecture in the background. The wall planes used for exhibiting are subtly detailed to appear as if they ‘float’ between the floor and beneath the roof structure. The materials and structure of the original building are kept visible beyond the new white screen exhibiting walls. Electrics and plumbing services are discreet and there are various options for lighting art.